It’s no secret that a confident smile can positively impact the way you interact with others. If you find yourself hiding your smile or even avoiding smiling because of imperfections in your teeth, cosmetic dentistry can provide you with renewed confidence and freedom. At Westfield Dental, we’re proud to help patients achieve smiles they love to show. Our experienced dentists, Dr. Jason Derr and Dr. David Ashmore, work with a skilled team of dental professionals to provide our patients with a smile that looks and feels natural and flattering to their features. If you’re ready to enjoy a winning smile, contact our Houston office and schedule a cosmetic consultation today! What Kind of Options Does Cosmetic Dentistry Offer? Cosmetic dentistry includes anything that helps to correct or conceal aesthetic issues in your smile. Some treatments, like tooth whitening, are simple and can be done in a single visit, while others involve more complex restorations. What can Cosmetic Dentistry Help With? Can Cosmetic Dentistry Help with More than Just Looks? Definitely! 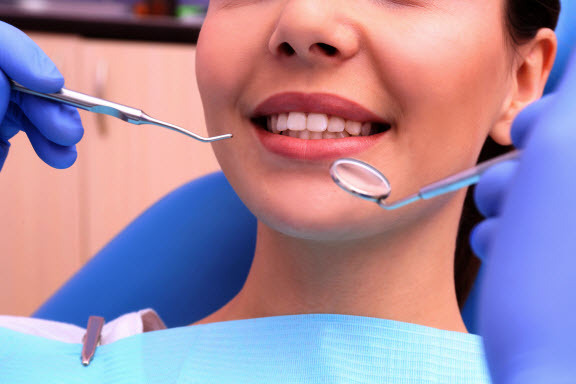 Several cosmetic dental services also serve to help strengthen, protect, or restore your teeth. A tooth with a cavity can be given a composite filling to replace the decayed enamel while maintaining a natural appearance. Dental bonding can cover a chipped or discolored tooth, while a porcelain crown can do all of these things and also help to strengthen a tooth that’s cracked, broken, or had a root canal. Can I Replace an Old Metal Filling or Crown with a Cosmetic Restoration? It’s certainly possible in most cases to replace an old restoration with a cosmetic alternative, especially if you’ve had the restoration for a long time. When you come in for a visit, the dentist will examine your restoration to see what condition it’s in. He’ll discuss your options with you, so you can decide whether replacement is something you want to do now, or if waiting would be better. We believe communication is an important part of dentistry, and are always happy to answer any questions you have about your dental health and treatment options. How Do Dental Implants Benefit My Smile? If you have one or more missing teeth, dental implants are the most effective option for tooth replacement. The dental crown or prosthetic provides a lifelike appearance, while the implant post provides support and stability within the jaw. Since the implant acts as a natural tooth root, it preserves your jaw bone density, which helps maintain a healthy and youthful appearance in your smile and facial structure. Even if you brush and floss regularly, your teeth can become stained over time. If your teeth appear noticeably yellow or dingy even after brushing, teeth whitening may be able to help. Your tooth enamel has small pores that allow certain substances to pass through. Food and drinks that are dark or acidic – such as berries, coffee, soda, or citrus – are some of the most common staining culprits. Tobacco use is also known to discolor teeth. Some other factors are known to stain teeth, such as injury, certain illnesses, acid reflux, and even some medications. Even teeth grinding (bruxism) can cause teeth to become yellow due to the constant pressure. However, this kind of staining often can’t be fixed with teeth whitening and may need other cosmetic treatments like veneers or crowns to correct it. 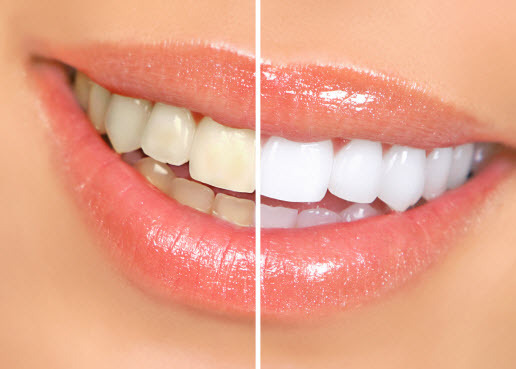 What makes professional teeth whitening effective is that it uses a specialized bleaching gel to penetrate the top enamel layer and reach stains beneath the surface. The gel gradually breaks down these stains, restoring your natural enamel color. How White Can My Teeth Get with Professional Whitening? Whitening doesn’t actually change the color of your teeth; rather, it helps to restore your teeth to the color they naturally are. (Natural enamel is not pure white, but an off-white or soft gray color.) Depending on how strong the staining is, this could be as much as seven shades brighter. Before you get a tooth whitening treatment, ask the dentist what you can expect so that you can see how well the treatment is working. It’s easy to find products that claim to whiten teeth in your local stores, including toothpaste, whitening strips, and gel kits. While these can be good for quick touchups or daily use (the toothpaste, at least), these products aren’t as powerful as professional whitening. Some can even be harmful to your teeth and gums if used frequently. If you’re looking for powerful whitening, professional teeth whitening is the better option. 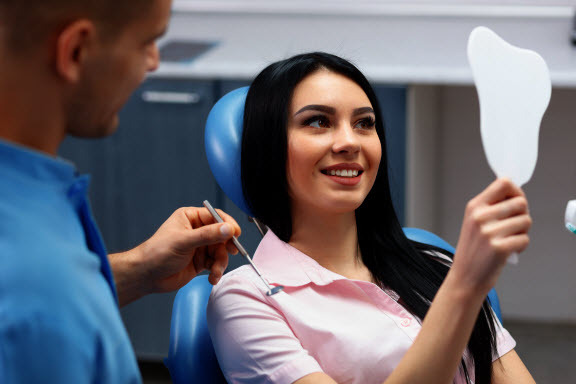 You’ll see more significant results, and having a dental professional to monitor your treatment ensures that your teeth and gums stay healthy. If you’re impressed by the smile on your favorite star or celebrity, chances are good they have veneers. These thin porcelain shells sit on the front of your most visible teeth, providing a dynamic and uniform appearance. It might seem like an unusual choice, but porcelain produces the most lifelike results for veneers. Porcelain can be colored to match your nearby teeth, helping them to blend in. Porcelain also mimics the natural luster and translucence of your enamel, which makes them appear even more realistic. Most people can’t tell the difference between veneers and real teeth unless they know what to look for. To place the veneers, the dentist must reshape the front surface of the enamel – otherwise, the teeth would appear bulky, or the veneers would not stay on correctly. The amount of enamel removed is small, much less than what is needed for a dental crown, and the inner part of the tooth isn’t harmed in any way. The veneers essentially become a part of your teeth, acting as the new tooth surface. While you may eventually need to replace them after time, they will otherwise look, feel, and function just like normal, healthy teeth. Should I Get a Composite (White) Filling? If you have a cavity, your tooth will likely need a filling. Composite fillings are made from a special tooth-colored resin than blends in with the surrounding enamel, creating a realistic and seamless restoration. What are the Benefits of a Composite Filling? What are Porcelain Crowns Used For? Like other cosmetic restorations, porcelain crowns are designed to look and function just like your natural teeth. These sturdy crowns protect the rest of your tooth from damage and decay, and thanks to the aesthetics of porcelain, they blend in perfectly with the rest of your smile. What is Dental Bonding, and What is it Used For? With dental bonding, the dentist applies a tooth-colored putty-like material to the tooth surface. The versatile bonding material has various applications, from repairing cracks and chips to hiding discoloration and even filling in gaps between teeth. If you have minor issues with one or two teeth, the dentist may recommend bonding. Bonding, Veneers, or Crowns: Which Should I Get? Bonding, veneers, and crowns can all be used to address similar cosmetic issues, but each in slightly different ways. Which one is best will depend on multiple factors, including the issue that needs correcting, where the tooth or teeth are located, and how healthy the teeth are. When trying to decide between these options, it’s useful to understand the benefits and drawbacks of each restoration type. Ready to Enjoy a Healthier and More Attractive Smile? Your smile is one of your most noticeable features – and should be one of your best. If you’re unhappy with your current smile, let the skilled dental team at Westfield Dental help! We’re passionate about using our experience and artistic skill to help our patients enjoy healthy and flattering smiles. Want to find out more about how we can enhance your smile? Contact our office and schedule your consultation today!